When you are arrested for suspicion of DUI in California, it’s only an arrest. You haven’t yet been convicted. The process of being convicted or acquitted takes place in California’s criminal justice system. There, you may plead guilty, or you may stand trial to be found guilty or not guilty. Throughout the process, a prosecutor will offer evidence to prove that you should be convicted. In a DUI case, the prosecutor must prove, first, that you were driving, and secondly, that you were intoxicated. You will also be allowed to present proof that you should be acquitted. This may include your own eyewitnesses along with the cross-examination of prosecution witnesses and evidence discrediting any blood or breath test results. An experienced California DUI defense attorney can provide the legal representation you need. California’s evidence code prevents specific kinds of evidence from being introduced. If evidence is improperly or illegally obtained, it may be excluded. When important prosecution proof is successfully excluded, it can mean the dismissal of your case. Blood tests, for example, are frequently excluded from driving under influence trials for several reasons. Police officers cannot draw your blood without your consent; doing so violates your constitutional rights. If a prosecutor introduces evidence that was unconstitutionally obtained, a good California DUI defense lawyer can file a Wilder Motion on your behalf. A Wilder Motion is filed to request the suppression of evidence. However, a Wilder Motion does not set forth any arguments or facts. It simply asserts that police had no cause stop you and that the evidence they obtained is therefore inadmissible. 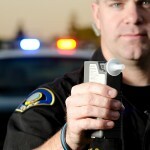 In some cases, a Wilder Motion alone may result in a dismissal of your DUI charge. If you have been charged with DUI, it is imperative to contact an experienced California DUI defense attorney who will provide you with the legal help that you need. A good DUI defense lawyer will help you gather evidence and witnesses, dispute test results, and file the motions necessary to have your charge reduced or dismissed. If you’re facing the charge, speak to an experienced DUI defense attorney immediately.